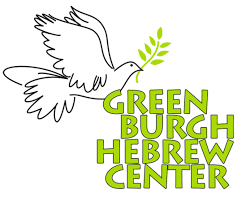 The Shames JCC is a part of the Rivertowns Jewish Consortium (RJC), a group that includes Greenburgh Hebrew Center, Mishkan Ha’am, Rosh Pinah Chavurah of the Rivertowns, Temple Beth Abraham, Temple Beth Shalom, and Woodlands Community Temple. Working together, the RJC strives to enhance Jewish life in the Rivertowns through join programming, organizational collaborations, and combined efforts during both celebratory and challenging times. The RJC efforts are guided by a group of committed volunteers and staff from each of its constituent organizations, meeting on a regular basis to plan and deliberate. Some of the congregations of the RJC also collaborate with the Shames JCC to offer families with young children the opportunity for joint membership with the JCC and a congregation for under $1,000 through the Gateway Membership program. For more information about the RJC, contact Jewish Life Coordinator Rabbi Ben Newman. Visit each community’s website to learn more!